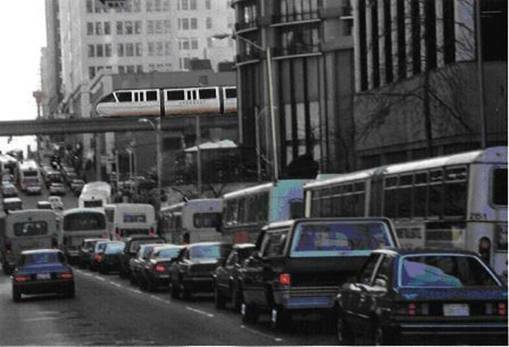 The new Urbanaut® Monorail Technology is an environmentally friendly, non-polluting transportation system that can relieve today's congested and unhealthy transportation environments. You will find that our technology is unique and innovative in nearly all aspects, especially in relation to the conventional light rail and outdated straddle-beam-type monorails that use 50 year old technology and massive guideways and vehicles. Our technology utilizes lighter vehicles, smaller guideways and therefore much less costly. The Urbanaut® is the only monorail in which a smaller vehicles operating on smaller local guideways can be seamlessly integrated (switched) onto a larger, higher capacity and faster system. This is the key to a transportation system that is totally integrated into communities. v Intolerable traffic congestions and pollution force authorities to take action for solutions. v The overwhelming need for alternative new transportation is amplified by the hundreds of projects put on back burners during the last decade because of the outrageous costs local authorities simply could not afford. "This system very cleverly uses monorail technology, then takes it everywhere and does everything that a conventional straddle-beam could never do. My compliments to the minds that gave birth the URBANAUT". 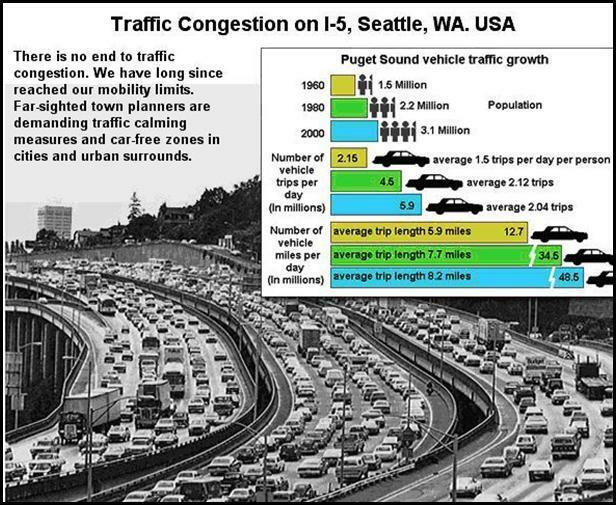 The great advantage of an elevated non-polluting Urbanaut® transport system in the city lies in its independence from the congestion at the street level. In addition, of course, it aims to cut down the tremendous pollution and health hazard created by diesel gas powered vehicles.